Nothing melted, short-circuited, or blew up. I was impressed. If it wasn’t already abundantly clear, my wife and I travelled to Europe last summer. We had a blast. Of course, all these devices needed to be charged in a continent with a different power standard than North America, and they had to be charged quickly because we often had four hour nights before jumping on the next train. The allocacoc PowerCube ReWirable USB + Plug travel adapter. What a name. Each time I travelled to Europe in the past, the bane of power outlets and charging was my travel adapter. 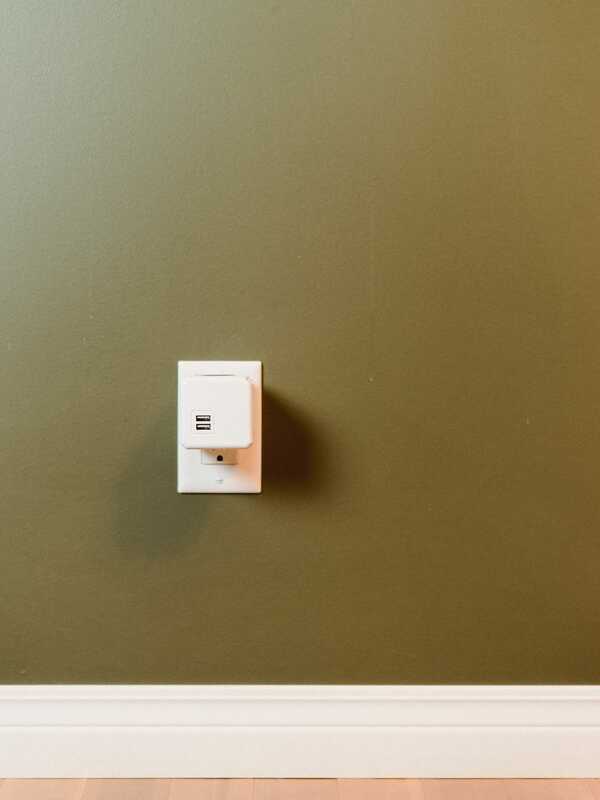 Sometimes the travel adapter didn’t fit the wall outlet. Sometimes the travel adapter got lost. Sometimes the travel adapter promised to not melt my wife’s hair straightener, and yet it still melted my wife’s hair straightener. I vowed to improve the experience this time around. So I found this PowerCube ReWirable USB travel adapter on one of The Wirecutter’s guides. It seemed to fit the bill a few times over. As a whole, the PowerCube didn’t disappoint. But there were a few quirks that popped up that potential buyers should be aware of. The Powercube ReWirable USB Travel Adapter is, well, a cube. It’s a fairly large 2.5-inch cube at that, taking up more space in my bag than I expected. You’d be kidding yourself if the PowerCube wasn’t an actual cube. 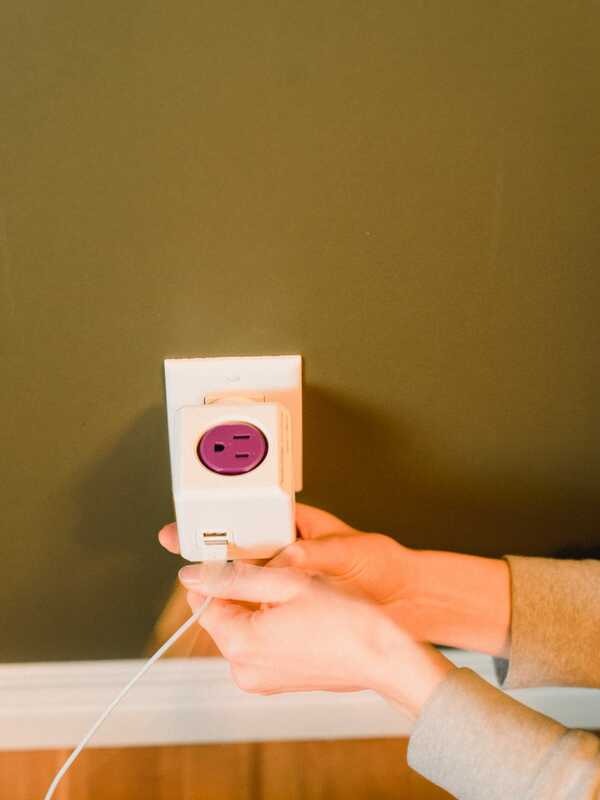 Thanks to the PowerCube’s shape, there are four outlets, an adaptable plug, and two USB ports to connect devices to your heart’s content. But in that large cube are four Type B electrical outlets, two USB ports, and a changeable outlet that adapts to the four included travel plugs. I don’t think there’s much extra space to cram anything else in. The PowerCube is made of a white, hard plastic that’s good to withstand its share of drops and falls. 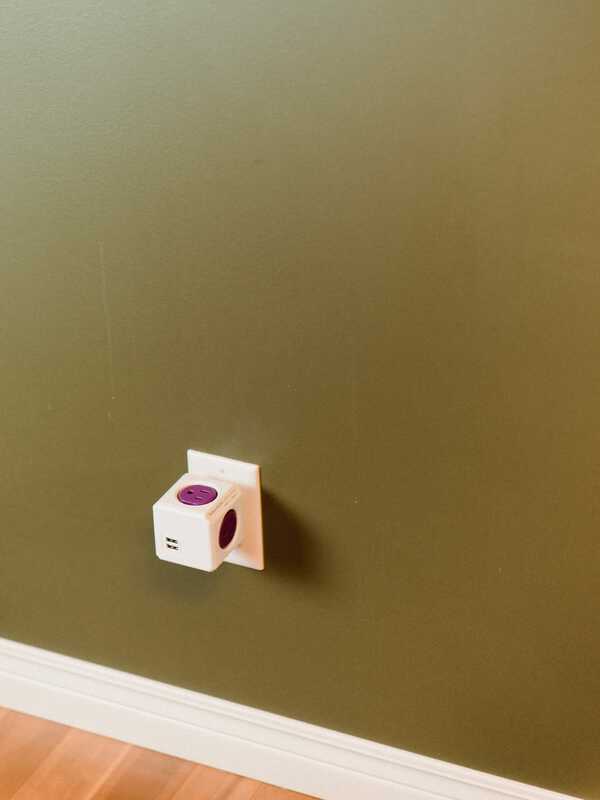 Each outlet is made of a striking purple plastic, giving the PowerCube its unique appearance. If you’re looking to catch someone’s attention with your travel adapter, the PowerCube will be a good choice. The PowerCube’s edges and corners are nicely rounded off. However, the hard plastic cube’s shape can make it uncomfortable to transport around. Not only is the cube large, you can quickly feel it dig into your back if it works its way to the bottom of your bag. I actually wrapped it in one of my socks so I wouldn’t notice it in one of my backpack’s pouches. The two front-facing USB ports help eliminate charging bricks (like the iPhone’s small USB brick) when travelling, making more room in your bag and decluttering in the process. Five of the cube’s sides house the Type B electrical outlets and adaptable plug, and the remaining side hosts two USB ports for device charging. 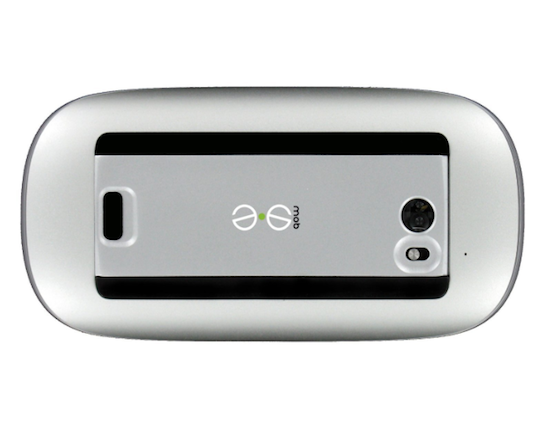 Of course, having two USB ports was a dream come true and made device charging quick and seamless. However, the PowerCube’s USB face is a tad bland and looks like it could host a few more USB ports. Four ports is better than two, they say. This specific PowerCube model comes with four plugs: Type B (North America), Type E/F (Europe), Type G (United Kingdom), and Type I (Australia). Unfortunately, the Type E/F plug didn’t fit in some Italian power outlets. This won’t cover 100% of Planet Earth (look at this map for an outlet guide), but it gets you a fair chunk of the hottest travel destinations. Unfortunately though, Type E/F isn’t always Type E/F. When we checked into our hotel in Florence, Italy, we were greeted with a slightly smaller version of the Type E/F plug — the PowerCube’s included European plug prongs were simply too large to fit in the outlets. I packed a second adapter just in case something went wrong with the PowerCube, so we were still able to charge. If you do purchase the PowerCube, be sure you’re aware of the potential misfit awaiting in some European hotels. Nothing melted, short-circuited, or blew up. I was impressed. If something bad had happened, the PowerCube’s fuse can be reset. 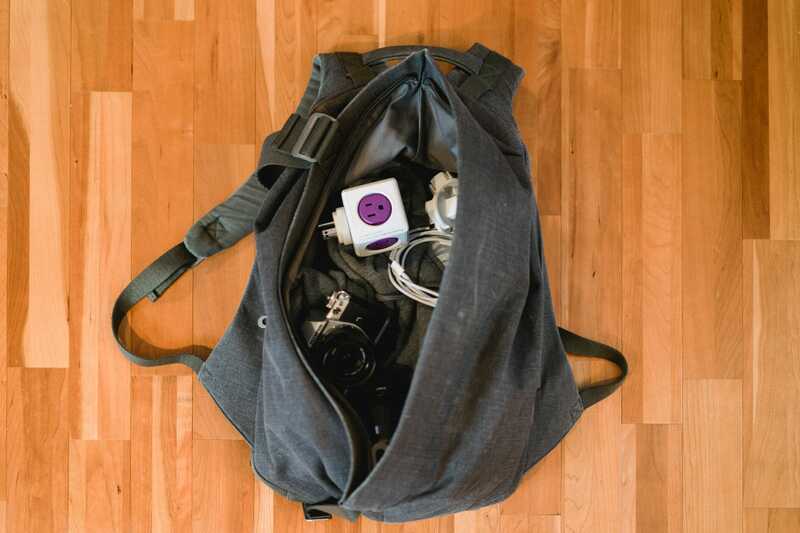 The PowerCube really is a large adapter and it finds its way into the corners of your bag when you’re walking. 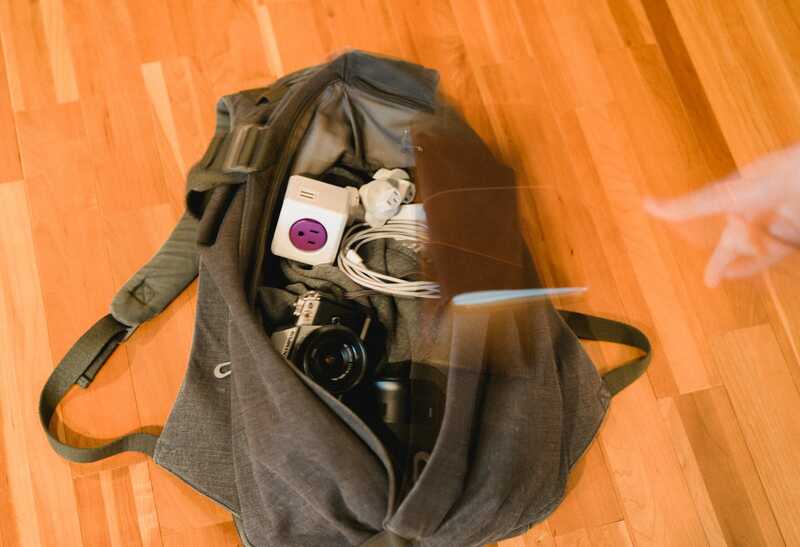 I put the adapter into a small pouch inside the Isar Rucksack to avoid sharp corners digging into my back. Hair straighteners/curling irons/blow dryers: For anyone who uses any of these home appliances, I have little in the way of help for you. Bringing your own North American appliances often results in melted hair straighteners and curling irons, and finding a useable converter is extremely difficult. There are reports on the web of melted hair straighteners even after specifically ensuring the specifications worked. So, instead of taking a chance on blowing up our PowerCube, my wife bought a cheap hair straightener in Europe when we arrived. Three-pin IEC extension cable: Although the PowerCube doesn’t ship with an extension cable, you can use any three-pin IEC cable you have lying around from old computers or displays. My coffee machine has one of these cables if I ever need an extension. Surge protection, or the lack thereof: The PowerCube ReWirable has no surge protection of any sort, so you may be left hanging in a lightning storm. However, the PowerCube does come with short-circuit, over temperature, and overload protection. Although the PowerCube doesn’t have built-in surge protection, I’ve used it at home as a power brick using the included Type B plug. I’ve never used the PowerCube for an extended period of time in this fashion, but it can answer the call in a pinch if you need multiple devices up and running at the same time. At $26 USD, there are certainly cheaper options for travellers than the PowerCube. The Bestek International Plug Adapter Set: Also recommended by The Wirecutter, the Bestek set is small and portable, but there are no built-in USB ports. 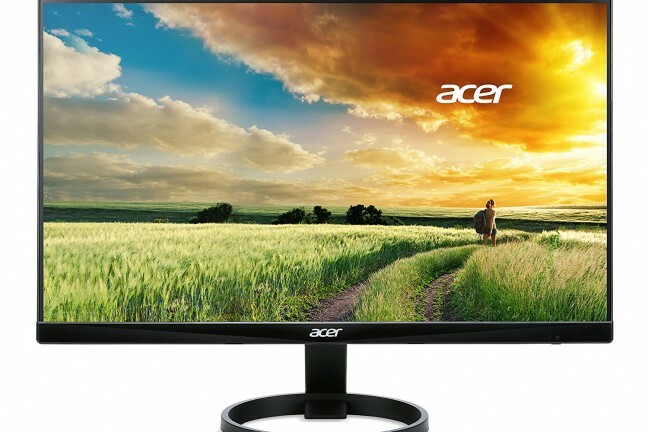 Bottom of the barrel options: These can be found at any electronics or travel store (in Canada, you can find these at Bentley), all at substantially lower prices. However, these usher in the same horrible charging experience I had during prior trips. I recommend staying clear. When I purchased the PowerCube ReWirable, it was $40 USD, making the purchase price a little more difficult to swallow. At $26 USD, it’s hard to deny the value in the PowerCube. You’ll never have to buy another travel adapter set in the future, and you can easily use it at home in a pinch. It’s hard to get excited about a travel adapter — it’s right at the bottom of the trip planning checklist. Overall, the size and shape of the PowerCube ReWirable were overcome by its convenience. Being able to charge up to six devices at once was a treat during our travels. And being able to use it at home in a pinch is also extremely convenient. But I genuinely enjoyed having the PowerCube ReWirable along for the ride. The USB ports provided just enough variety to allow an extra iPhone and GoPro to be charged at the same time. It was easy to swap out the adapter when we jumped the Channel from the UK to France (although the smaller Italian outlets were a maddening experience). 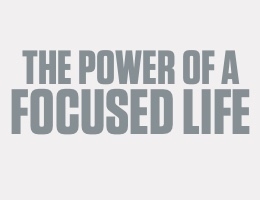 And having four power outlets quickly reloaded diminished camera and laptop batteries at the end of the day. 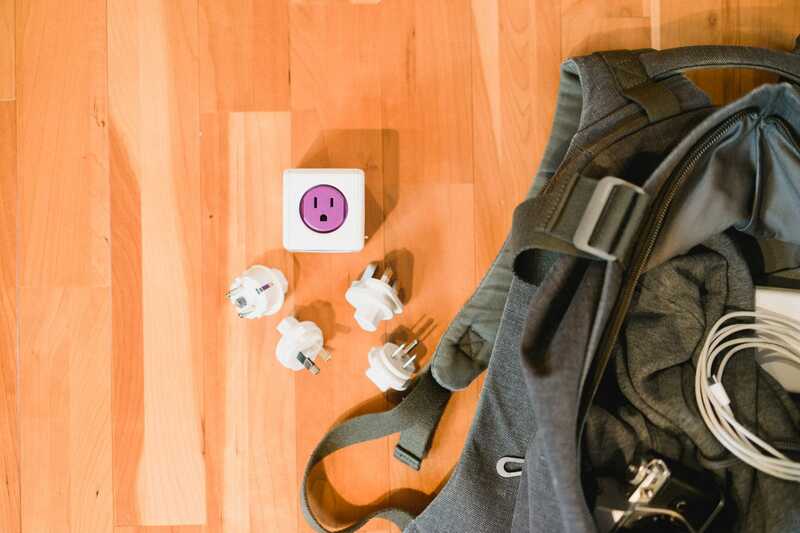 Even if the PowerCube is larger than other travel adapters, having up to six devices charging at once helps you quickly forget about the sharp corner digging into your back when transitioning from city to city. As many people head over to Europe or Australia for their backpacking adventures, I wholeheartedly recommend the PowerCube ReWirable + USB. And if you’re a regular traveler, a high quality travel adapter really is a no-brainer.